If you’re a car enthusiast and you want to be able to perform diagnostics on your vehicle, then you’re going to need to invest in a quality on board diagnostics scanner (OBD). Modern vehicles come equipped with onboard computers for EFI control, sensor readouts, and other data. Even if your vehicle has a relatively limited trim and feature set, it’s still going to have computer integrated with the engine and electronics. To be able to gain access to readouts for the standardized data that is produced from your car, an OBD2 scanner will be absolutely essential. One thing you can be sure of in the automotive world, is that different manufacturers and even models from the same manufacturer, often use different forms of proprietary technology. After all, competing in the automotive industry is not just about performance and price, it’s also about feature differentiation. The unique elements of any particular model are part of what leads you to falling in love with a particular car, but can also make things harder to work on if you’re not familiar with the manufacturer or the technology that they use. Thankfully, OBD2 is an industry standard, and cars produced after 1996 are required by law to use a compatible interface. If you want to be able to pull data from this interface to diagnose issues like a check engine light, then an OBD2 scanner is going to be your new best friend. Although the OBD2 standard is relatively new, on board computer systems have been in use for some time. The very first was developed 1968, when Volkswagen introduced a computer controller for their Type 3 models with fuel injection. The new technology was revolutionary for the time, and helped to make it easier to diagnose and optimize the fuel system. Of course, being new technology, only a handful of authorized service centers would have had access to interfacing devices, which is far different to the situation the we have today. Continuing through history, Nissan used an on board computer on their 280Z in the late 1970s. Also a fuel injected model, this system was adopted on other Nissan vehicles, although there was still no standardization of the codes used, how data was reported, and how it would be interpreted. It wasn’t until the early 90s that the industry saw any form of standardization. Spearheaded by California’s push for environmental initiatives, the California Air Resources Board mandated that all cars sold in the state needed to provide basic on board diagnostic capabilities. The earliest systems are now retrospectively referred to as OBD1. Considering that California is one of the best vehicle markets and one of the world’s leading economies, manufacturers started to take note. By 1996, the US Federal Government passed a law that required all new vehicles use a standardized diagnostic system, and OBD2 was born. You won’t find a new car in the United States that doesn’t use OBD2, and that makes things much easier for you as a consumer, and as a car enthusiast. Many car owners would simply assume that auto repair shops and independent mechanics have access to diagnostic tools that aren’t publicly available. While not completely wrong, the reality is a lot more positive than most would expect. The diagnostic scanners that professionals use are more advanced and sometimes more powerful than most consumer units, but they’re also a lot more expensive. It’s not unusual for workshop systems to sell for $20,000 or more, which is a price that is simply out of reach for the average enthusiast. The benefits that are gained from a professional system are significant, and can include custom developed interpretation software that provides more context around diagnostic codes and what mechanics should do to treat them. Some pro systems come with handheld tablet devices, and others are housed in portable rack units with an integrated PC to manage the software. All of this is interesting and exciting if you’re working in the industry, but if you simply want to work on your car at home, then you wouldn’t realistically want to go to this level of investment. That’s where consumer OBD scanners come in. Consumer scanners don’t cost thousands, or even hundreds of dollars. 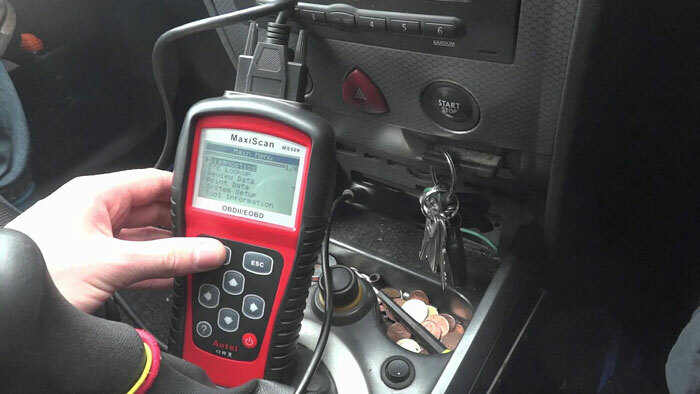 In fact, it’s possible to purchase a scanner for as little as $15, and while this would only be a basic code reader, it can be enough for an enthusiast who has access to the internet or even their car servicing manual. There are numerous trusted sites that provide code interpretations and service suggestions, with OBD-CODES being just one example. By using a simple code scanner, and combining it with online resources, you can have access to all of the same information that a professional mechanic would, with just a small fraction of the required investment. Your system might not be as heavily integrated as a professional one, but it would be functionally the same, and the end result would still mean that you’d be able to find out what’s happening with your vehicle, and you’d be able to take action to remedy the problem or even improve the performance. A code scanner could allow you to monitor air flow from an oxygen sensor, fuel flow rates, or you could even discover issues like random misfires or misfires on a particular cylinder. Whether you’re looking for a handheld scanner with a simple display readout, or even a more advanced scanner with a large display, there are plenty of options available to you. Scanners can be purchased from online retailers like Amazon, or in stores like Sears and Walmart. If you own a smartphone or tablet, it’s even possible to purchase a Bluetooth or WiFi enabled scanner that will send the codes directly to your device. This means that you can leave the scanner interfaced with your OBD2 port, and capture data at any time you need to. This is great for when you need real-time feedback for modifications or when troubleshooting a problem. If you’re serious about cars and having yours running in its best condition, an OBD2 scanner is an absolute necessity. With standardization across the United States, there’s been no better time to invest in a diagnostic reader.